Welcome to Edgewater Development's newest design "The Rumley". 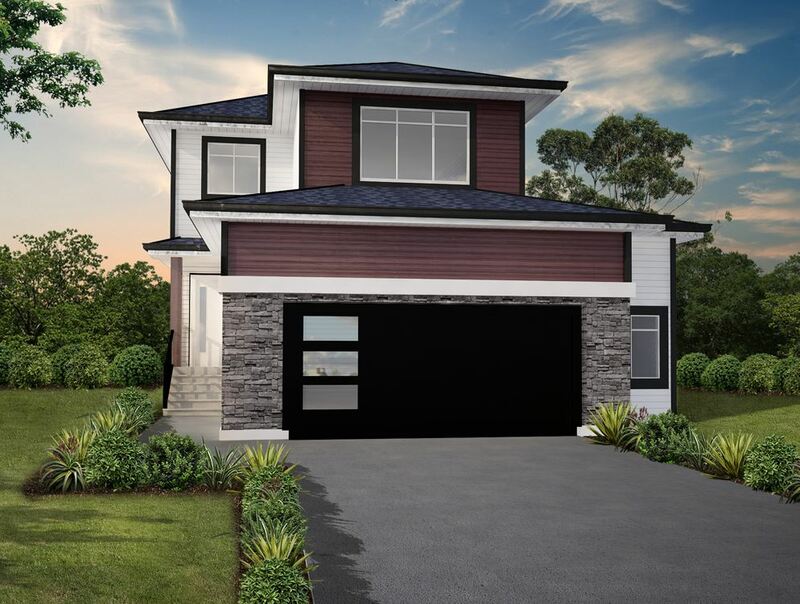 This modern floor plan is 1887 square ft. that features an oversized 724 sq ft attached garage. You begin the tour of this beautiful home with an expansive foyer and roomy closet, which opens up to the great room, kitchen and dining room. 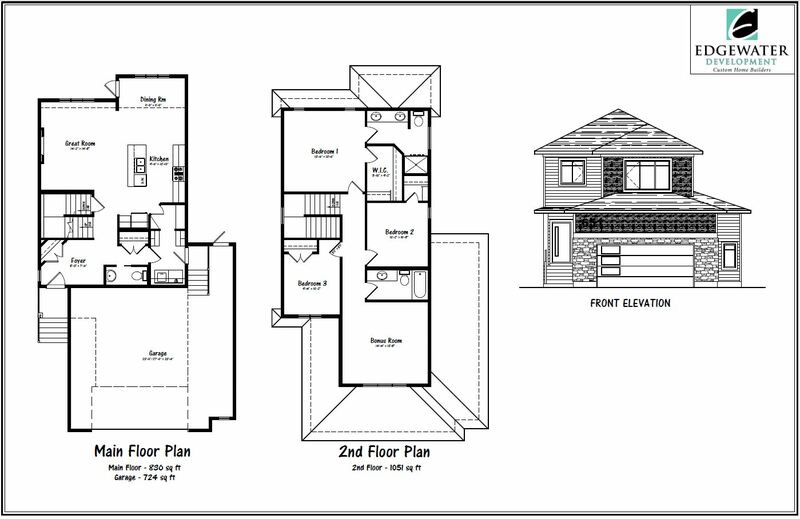 This floor plan is desirable to home buyers as the main living area is not visible from the front entrance. Large windows allow for ample natural light to fill this open concept main floor area. The living area has a fireplace for cozy evenings, and the kitchen features Capella Cabinets, quartz countertops, a 7' island, and a walk through pantry to the mud room area with lockers. The powder room is discreetly situated away from the main living area, along with convenient main floor laundry and more closet area near the garage home entrance. Upstairs you discover 3 spacious bedrooms, a 4 piece bath, a bonus room, and the vaulted master retreat with ensuite. The ensuite contains dual sinks and large 48 inch shower with custom tile work. Welcome home to the Rumley.